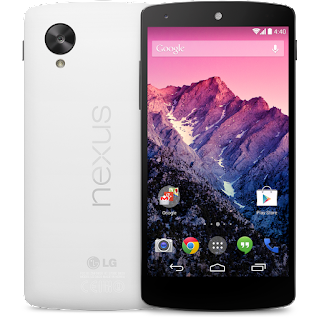 June of 2013, I bought my Nexus 5. February of 2015, after a 10 minute call with Google support, a new (refurbished) Nexus 5 is on the way to me. A replacement?! This far past the purchase point? Impressive. The Android 5.0 update, known as Lollipop, punched my phone square in the mouth. A list of issues happened immediately following the update. Yes, I did wipe and reload the phone after updating. Yes, I did systematically uninstall any app I could see using idle CPU time (especially Facebook). 1. Horrible battery life - 7 hours of idle if I am lucky. 3-4 hours with moderate use. I am basically required to have a charger everywhere. I do, actually... If I'm at my desk (work or home) it is sitting on a wireless charger. In the car? Always plugged in. 2. Freezing when task switching, to the point that even the power button becomes non-responsive. 3. Randomly restarting or simply powering down. I would have my phone in my pocket and glance at my LG G Watch and see a little cloud icon with a slash through it, indicating that there isn't a connection to the phone. Really annoying when you realize it has been off for about 20 minutes. All things considered, I was preparing to buy a new phone and was very thankful that I don't have to. Thanks Google for the killer customer support.